At Mark Boling Construction, Inc. we use only the top quality materials and we only work with the best sub-contractors around. Our Craftsmanship is unmatched and unparalleled to anyone around. We feel that we would never build a house that we, ourselves, wouldn’t live in. Our clients are our most important friends. We here at Mark Boling Construction, Inc. feel it is import to make our clients part of our family. Since 1965, Modern Home Sales has been creating manufactured and modular homes for residents in the Kansas area. Manufactured and modular homes are the new wave of home building, and Modern Home Sales allows you to help create your own style and design for your future dream home. Modern Home Sales puts the needs of customers at the forefront of the business. With our company, you are involved in the building and styling process. You have the final say in your home! We are a custom home builder. 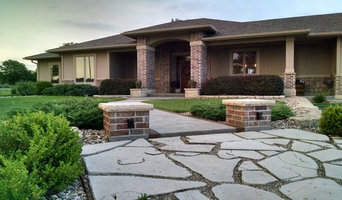 Specializing on custom homes in the Topeka KS area. We have been in business for 15 years. It is not a custom homes unless it meet or exceeds your needs. We want to make sure you never feel left out of the process. When you build with us, you will be working with Mr. Ramsey one on one, not middle man. You will get the personal attention you deserve. Our Mission To glorify God as we supply our customers with top quality products and service. To treat our customers with professionalism, respect, fairness, and integrity by caring for and listening to them. To model hard work and strive for excellence while representing our industry. Prellwitz Construction keeps that in mind throughout your building or remodeling process. 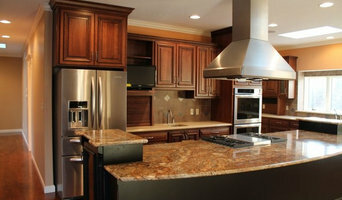 From designing to drafting, to construction, PC strives to capture your interests, feeling, and goals of your new home. Whether it is building a custom home to your individual needs or choosing one of our model homes, PC has a house for you. Prellwitz Construction brings efficiency, beauty and affordability to every building and remodeling project. PC President Mark Prellwitz is a board member of the Topeka Home Builder's Association. Prellwitz Construction is also a member of the National Association of Home Builders. In conjunction with these associations, Prellwitz Construction keeps current with industry standards, construction specifics, and materials. We apply these to each and every home we build or remodel, regardless of the price. PC can help you locate and purchase a lot site. PC has built homes both inside and outside of the city limits. North, South, East or West: we can help, based on YOUR requirements. If you have a floor plan you like - GREAT! If not - we can help you custom design one. Call or write us today. What’s the most important step in building a new house from the ground up? Many people would say it’s choosing the right Wamego home builder. Constructing a new house is a huge and multifaceted undertaking, so it’s important to find custom home builders in Wamego, KS you can trust to bring your vision to life, as well as keep the process under control from start to finish. Although a construction job is never without surprises and challenges, a Wamego, KS home builder who’s a good fit for your specific project will make these far easier to handle. For Wamego residential home builders who also act as developers, the job starts well before the first nail is driven. They perform local market research to determine whether the prospective homesites make sense in the Wamego, KS market, as well as survey the land on which the house will be built to make sure it is suitable for construction. Custom builders also obtain the necessary permits. 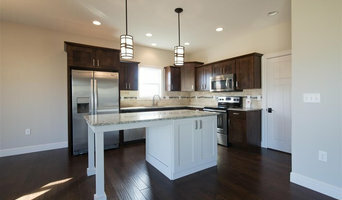 A good custom home builder in Wamego, KS has skills that go far beyond construction — he or she must supervise subcontractors and artisans; keep tabs on local zoning regulations, building codes and other legalities; inspect work for problems along the way; and perform dozens of other roles that are essential in building a quality house. Here are some related professionals and vendors to complement the work of home builders: Interior Designers & Decorators, Landscape Architects & Landscape Designers, Architects & Building Designers, Kitchen & Bath Designers, Specialty Contractors. House builders are responsible for ensuring that the home-building project sticks as closely as possible to the specified timetable, particularly in the event of change orders. Custom and luxury home builders in Wamego, KS also need interpersonal skills to deal with clients of all types, soothe frazzled nerves, negotiate conflicts and resolve problems. 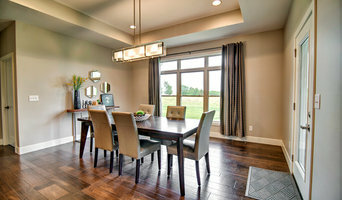 Find custom home builders in Wamego, KS on Houzz. Narrow your search in the Professionals section of the website to Wamego, KS home builders. 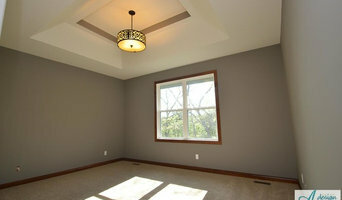 You can also look through Wamego, KS photos to find a house you like, then contact the builder who worked on it.